Updated Wednesday January 16, 2019 by Alex Funk. Your age group is based on your age as of May 1, 2019. If you turn 10 years old on April 30th, or earlier, you would try out for the 11/12 age group, if you turn 10 years old on May 1 or later, you would try out for the 9/10 age group. You are welcome to try out for older age groups if you wish. Please note that travel baseball is a significant commitment, designed for kids and families that really like baseball. Most of our travel teams play doubleheaders and practice once a week; this is in addition to kids' commitments to their Rec league teams. 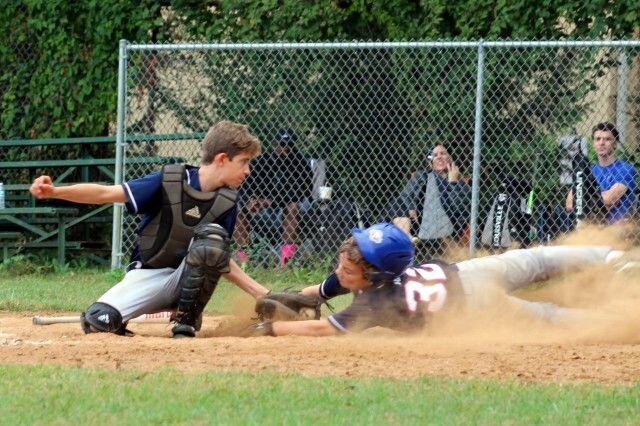 In limited situations, we will offer an exemption to the league's Rec requirement for players with a full season of baseball with their school teams. In each case, this needs to be approved by the league. We ask that everyone pre-register (it's free, and link is HERE) so we have an idea how many players will be attending, and to ease the crunch at each tryout. Please contact Commissioner Andrew Wolfe (wolfeama@gmail.com) or Travel Coordinator Alex Funk (alexanderfunk@gmail.com) if you have any questions.